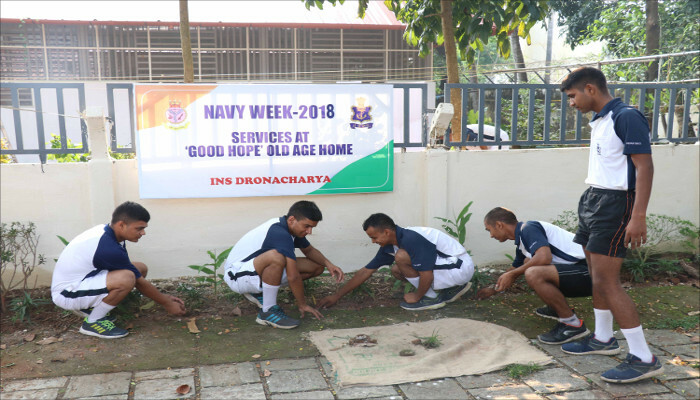 As part of the outreach activities of Southern Naval Command during the run up to Navy Week 2018, 28 inmates of the ‘Good Hope’ old age home at Fort Kochi were hosted by naval personnel of INS Dronacharya and ladies of the Naval Wives Welfare Association (NWWA) on 26 October 2018. The visitors were received by Commanding Officer, Commodore Simon Mathai, NM, and were entertained with some soulful songs by the choir group of the Navy Children School, Kochi, children from Naval KG, Dronacharya Jazz Band and naval trainees. 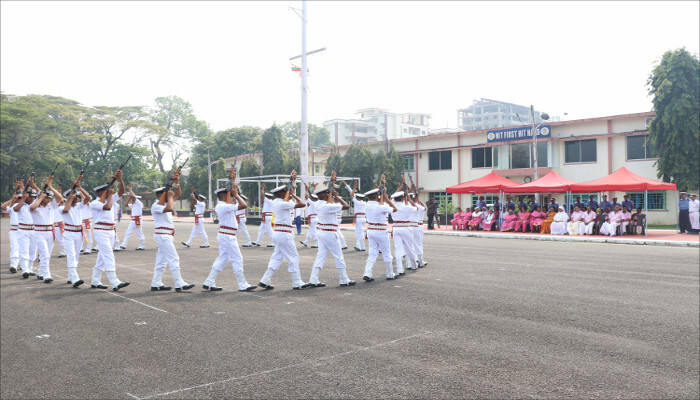 A drill performance was also conducted, involving two continuity drill contingents, displaying precisely synchronised drill movements without any commands. The visit ended with a trip to the Riding and Adventure Sports centre wherein they were provided an opportunity to pet and feed trained horses. Lunch was also organised for the inmates at the Home. The visit marked culmination of community services carried out by the staff of INS Dronacharya at the ‘Good Hope’ old age home from 24 to 26 October 2018 with the aim of providing a helping hand to its inmates. 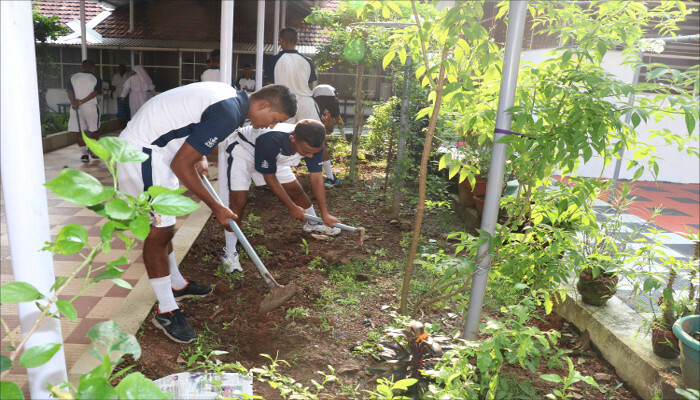 These included cleaning of common areas, painting of the periphery wall and main gate and maintenance of the garden to give a face lift to the old age home. The old age home was also donated various utility items, including toiletries, groceries, clothing, linen, etc. obtained through contributions from personnel of INS Dronacharya and the NWWA to the 28 inmates of the old age home. 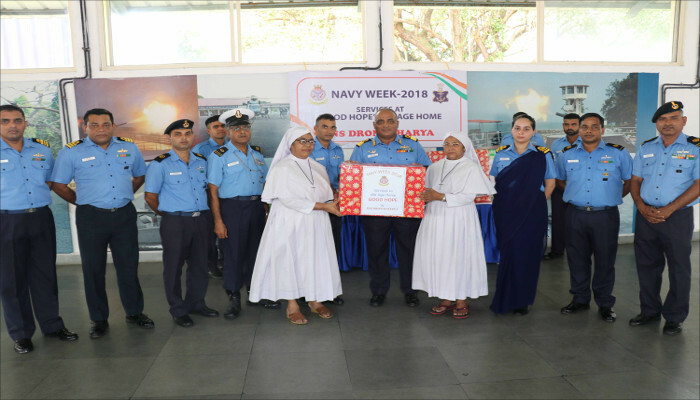 Sister Symbrose, on behalf of all inmates, expressed her heartfelt thanks to the ladies of NWWA, the Commanding Officer, INS Dronacharya and his team for their donations and community services extended to the inmates. Good Hope - Relief Settlement Annex is an institution was set up on 25 October 1990 and run by SD Sisters from St Mary’s Province, with the aim of giving hope and shelter to the aged and destitute. 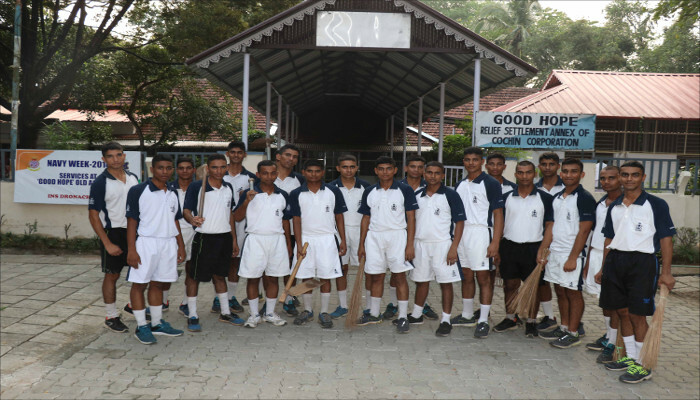 Since the institution is located next to INS Dronacharya, this assistance has become a traditional annual activity over the years, with the inmates eagerly looking forward to it.